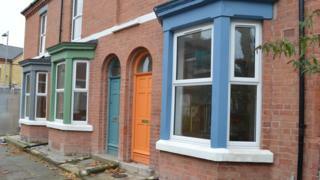 The first houses to be sold through a Turner Prize-winning renovation scheme have been given "anti-gentrification" clauses so locals can afford them. Design group Assemble won the art award in 2015 for their work regenerating derelict houses in Toxteth, Liverpool. Three houses have been sold for £90,000 each, with locals given priority and a condition added saying they must always be sold at an "affordable" price. 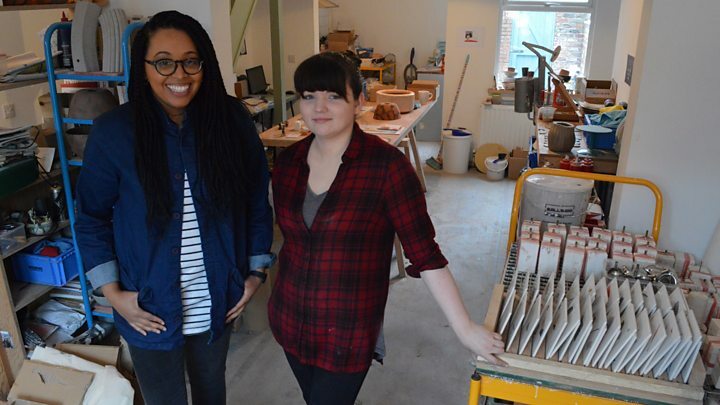 This year's Turner Prize winner will be announced in London on Monday evening. Assemble have completed work on eight houses owned by the Granby Four Streets Community Land Trust so far, with five let out and three sold. A covenant on those three houses, which are on Cairns Street, means that if they are sold on in the future, it must be at below market value, as calculated using average wages in the area. The average house price in Liverpool is £121,000. Erika Rushton, chair of the land trust, the residents' group that has worked with Assemble and has sold the houses, said they wanted to find a legal way to ensure the houses remained affordable in the future. "We don't want them to become 'Turner houses', if you know what I mean," she said. "Because we want local people to live in them forever." The Turner Prize victory attracted interest from potential buyers from outside the area, Ms Rushton said. "We've definitely had interest, but the houses have gone to people who had been on the waiting list long before Turner who wanted to buy one," she said. "They tend to be people who used to live in the area or children of people who used to live in the area and who want to come back to the area. "We've used that as one of the criteria that we used to prioritise people. And we've found more demand than we could have met." The trust's vice-chair Hazel Tilley, who has lived on Cairns Street for 25 years, said: "What we don't want is gentrification. We don't suddenly want all the white middle class investors. "So we've also applied criteria to the sale which matches social criteria - a connection with the area, first-time buyer, in need of decent housing at an affordable price. "So people can't buy it to rent out or anything like that, because it's really important that we don't price out the people who live here." Assemble are due to renovate three more houses and convert two that are beyond repair into a winter garden. They are also turning a boarded-up corner shop into a permanent workshop to allow the fixtures and fittings that were designed for the houses to be sold online. This year's Turner Prize nominees are Anthea Hamilton, Michael Dean, Helen Marten and Josephine Pryde, with the winner of the £25,000 award to be named at the Tate Britain gallery just before 22:00 GMT.